“Natural fibres are greatly elongated substances produced by plants and animals that can be spun into filaments, thread or rope. Woven, knitted, matted or bonded, they form fabrics that are essential to society. Like agriculture, textiles have been a fundamental part of human life since the dawn of . Fragments of cotton articles dated from 5000 BC have been excavated in Mexico and Pakistan. According to Chinese tradition, the history of silk begins in the 27th century BC. The oldest wool textile, found in Denmark, dates from 1500 BC, and the oldest wool carpet, from Siberia, from 500 BC. Fibres such as jute and coir have been cultivated since antiquity. While the methods used to make fabrics have changed greatly since then, their functions have changed very little: today, most natural fibres are still used to make clothing and containers and to insulate, soften and decorate our living spaces. Increasingly, however, traditional textiles are being used for industrial purposes as well as in components of composite materials, in medical implants, and geo- and agro-textiles. In this section we present profiles of 15 of the world’s major plant and animal fibres. They range from cotton, which dominates world fibre production, to other, specialty fibres such as cashmere which, though produced in far smaller quantities, have particular properties that place them in the luxury textiles market. When is a fibre “natural”? Plant fibres include seed hairs, such as cotton; stem (or bast) fibres, such as flax and hemp; leaf fibres, such as sisal; and husk fibres, such as coconut. 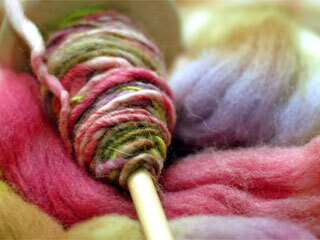 Animal fibres include wool, hair and secretions, such as silk.